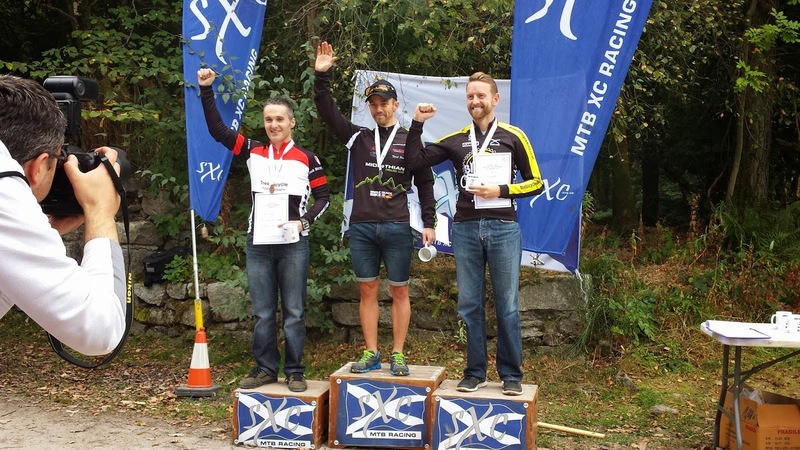 Back in March, the title of my race report from the first round of the SXC Series at Forfar, my first ever XC mountain bike race, was "A good start to the season" . . . with a 4th place in that first race. Well, what a season it has been, with a rather good end too! 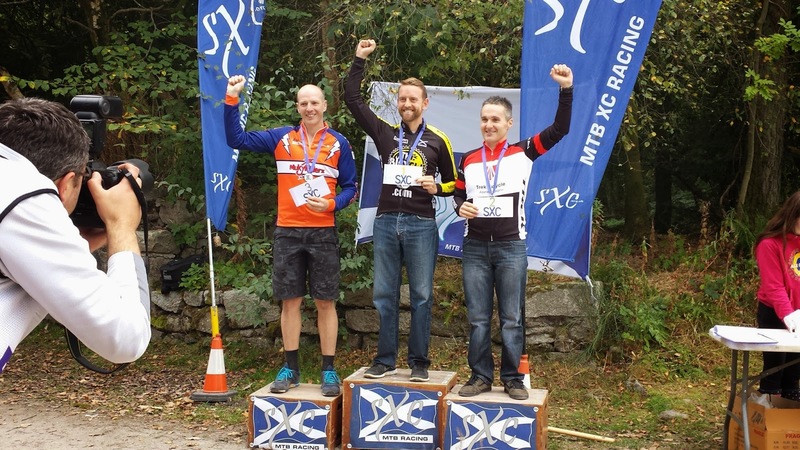 On Sunday 14th September, I finished 3rd in the Scottish XC Championships and took 2nd overall for the whole year in the SXC Series (Masters). Needless to say, I'm just a wee bit happy with that for my first year racing cross country after just a couple of years competing in a few MTB marathons and endurance events! 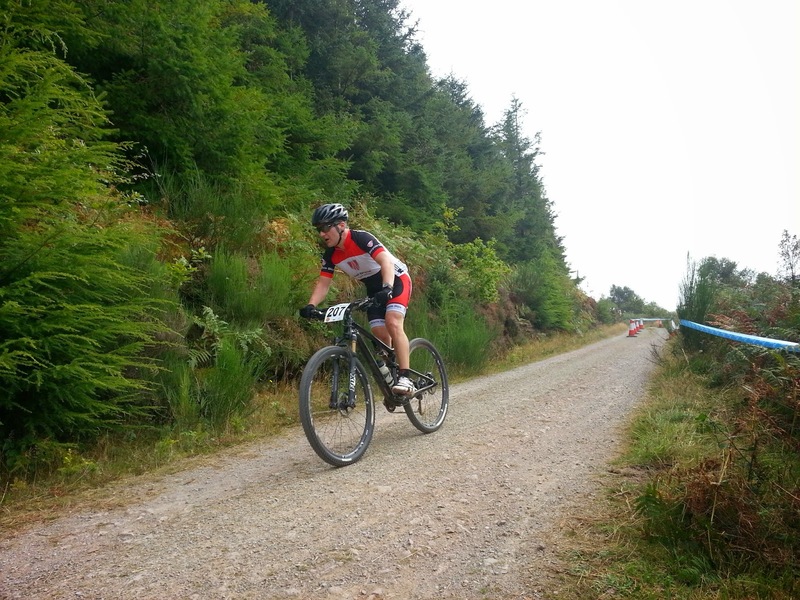 Sunday was the fifth and final round of this year's Scottish XC Series, at Dalbeattie in Dumfries and Galloway. It also doubled as the Scottish Championships: rather than host a separate one-day race, they used the final race of the series as the one-off championship event for those with a British Cycling race license. So, there were 3 podiums up for grabs: the day's race, the overall series podium for the year and the Scottish Championships . . . and I walked away with a place on all 3. 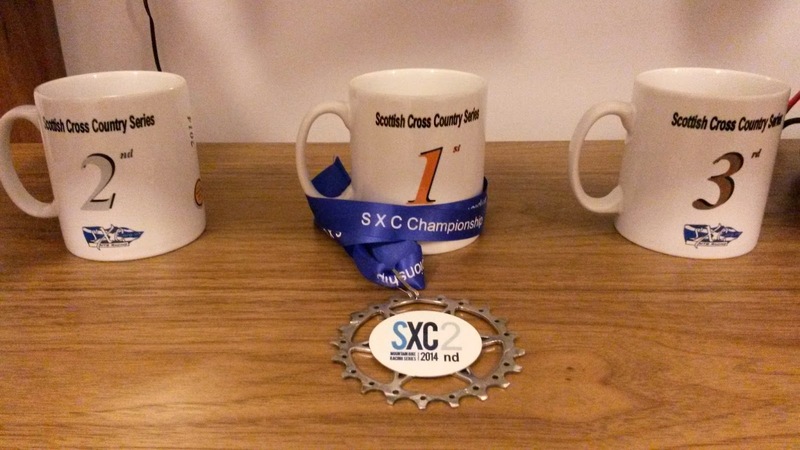 I've got my 3rd place SXC mug to complete the 1,2,3 set, my medal for 2nd place overall in the whole series for the year (based on your best 4 of 5 races) and 3rd place bronze medal in the Scottish Championships (all Masters category). I just can't believe it! I could launch off into a post about the whole season, but I'll save that for another time. I'm sure this single race report will be long enough as it is, and even though that's the XC season over for this year, I have two races left of the marathon/endurance format I started out in before this year. On Saturday, as I headed out to start my practice laps on the Dalbeattie course, I wasn't quite sure what to expect. 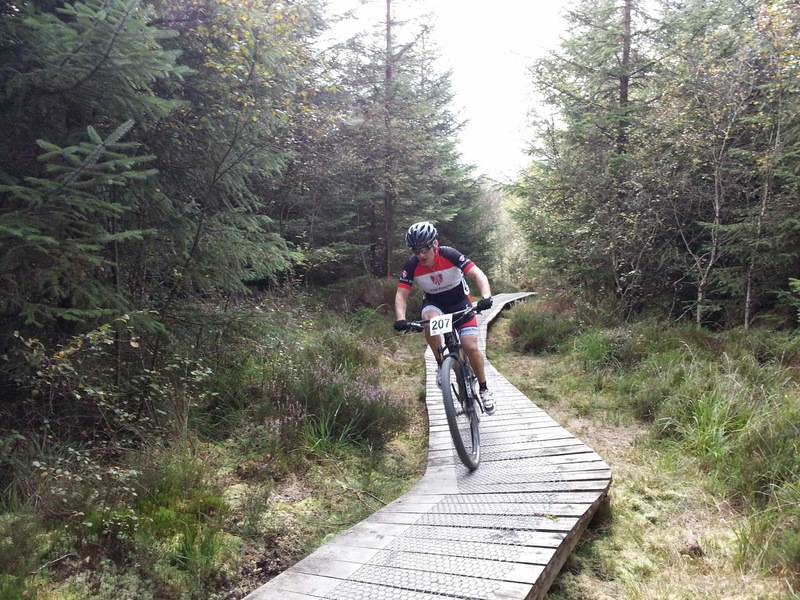 I know the red trail at Dalbeattie 7 Stanes really well but wasn't sure how much of it they would use. What I found was an absolutely fantastic course, but one that was only perhaps one third made up of trail centre singletrack. There were a few long fire road sections but also some absolutely wonderful off-piste sections, both ups and downs, to really challenge us all. It was an old-school "proper" mountain bike course. While I would have had a great advantage if it had more of the man-made 7 Stanes trail in it, I couldn't be disappointed. The off piste sections were fantastic. I'm just glad it was dry though! They would have been even more challenging in the wet! It was nice to have a dry SXC race for once - the first since Forfar - so I think we deserved the weather! Not only were there some lovely flowing, rooty, steep downhill sections through the trees, there were some really tough steep off-piste climbs too. I loved them! That's one thing the SXC courses have had this year: a good amount of technical climbing as well as the descents. Overall, I'd say the SXC have out-done British Cycling this year as the Scottish courses have all been fantastic, while there have been two really poor courses in the British series. I got 3 practice laps in on Saturday and was feeling good about the course. It was long, at 8km; over 2km longer than the usual format of modern XC courses, so it was going to be tough and energy-sapping. I got a good rest on Saturday night, the usual dose of pasta, some stretching, a bit of time on the foam roller to ease out the legs, and an early night in the campervan, all set for the next day . . .
We rose to another dry day, a bit cooler than Saturday (not a bad thing when racing! ), but it made me so happy to know it was going to be a dry dusty course! 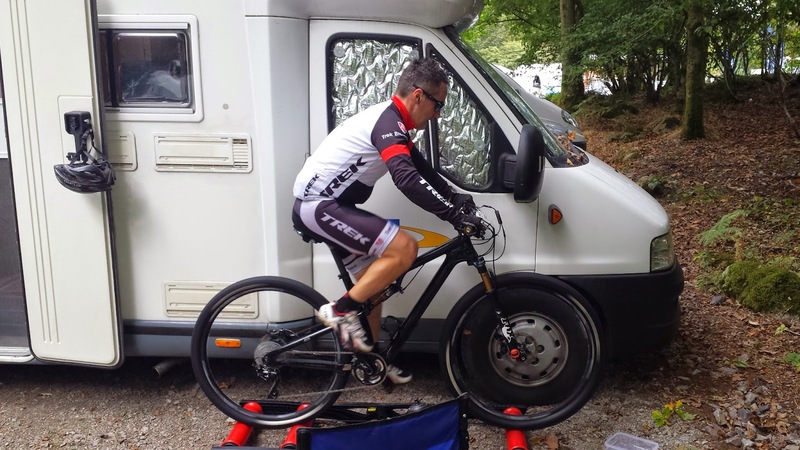 One thing I got an insight into at this race, given we had spent the night in the campervan in the Dalbeattie carpark, was just how early the SXC committee get to work! These guys and girls do this voluntarily and we could not race without them. They were up at first light, setting up gazebos and generators and so on. And they don't get to go home until we're all gone! Hard work and I can't thank them enough for this! After the usual morning dose of EPO (Extra Porridge Oats!) I had a really nice relaxing time before my race at 2pm. This was one of the best things about already being on-site and not having to travel. It really lets you relax and focus on the race ahead. Some family and friends joined us later on, which was nice as it kept me relaxed and stopped any nerves kicking in! After watching a bit of the morning races it was just after 1pm and time to get warmed-up. At 2pm, we were gridded on the start line, with Scott Logan, myself, Craig Webster and David Glover lined up on the front row as current series positions 1 to 4, respectively. To be honest, I hardly remember the start gun going off. I seem to have got my balance of focus and calmness just right when we got the 15 second warning and just reacted instinctively to the bang! I got a good start, with only Scott slightly ahead of me as usual. As we turned the first corner, I put my pre-planned race strategy into force: lead out the first lap. I tried this at the last round of the SXC but a poor rear tyre choice led to me losing places at that one before fighting back into 2nd place there. This time, I was determined to enter the first section of singletrack, which was raised boardwalk, as the leader of the group. I got by Scott before this section and soon realised that it was me, Scott and Martin Graham settling into a lead group of 3 as we gradually dropped the other riders. I'm not sure how far back the other riders were or when we opened up a big gap, but I knew Scott and Martin were on my wheel. Martin hasn't raced in the series this year, but having checked out the results last year, I knew he was a really strong contender, along with Scott, to take the win and become Scottish Champion. I kept the pace as high as I could that whole first lap, but kept it smooth and controlled so as not to make any mistakes. I got down all the technical sections and cleared the steep technical climb successfully. As we completed lap 1, I crossed the line in 1st place, with Scott and then Martin right behind. As we then passed through the feed zone, I was going so fast that I just knocked the bottle out of my wife's hand and couldn't get a hold of it. I didn't let this affect me, as although it was a warm day, this has happened before and I was well hydrated before the race. Think of the positives I said to myself: less weight to carry up the climbs! Martin made a sprint past me and Scott just after the feed zone. I wasn't sure if he was just having a bit of fun or if he thought we should take turns in front but again, I just wanted to keep the lead where possible in the singletrack sections. So, I sprinted on past him again and entered the first boardwalk section in the lead again. Then, for some unknown reason, I lost my concentration on what is a really easy and wide piece of boardwalk and my front tyre slipped off it. By the time I got going again, I'd lost about 15 seconds to Scott and Martin, now in front. I spent the whole 2nd lap trying to catch them but soon realised that I'd actually gone too far into my "red zone" on that first lap. I wanted to find out if I could hold pace with these guys and the simple answer was "no"! While I'm really happy with the first lap pace, and I've been doing really good consistent lap times in recent races, this race involved me just slowing and slowing as each of the 4 laps went on. This wasn't just because of my daft mistake on the boardwalk. I just couldn't catch them again and had lost a good couple of minutes by the end of that lap. Thankfully, I maintained the couple of minutes gap I had to David and Craig behind me in 4th and 5th, and this lasted for the rest of the race. At some point in the 3rd lap, Martin got away from Scott and went on to take the win, becoming Scottish XC Masters Champion. While I didn't realise how much I was slowing in laps 3 and 4, I could definitely feel the pain of pushing it too much on that first lap. My legs were absolutely screaming going up that steep technical off-piste climb for the last time. But I got up it. And I also kept my focus on the downhill sections and was really happy with my speed and flow on them. Hearing my parents, in-laws, brother, friends and wife all cheer me on each lap really kept me going and kept me pushing. I knew I had a bit of a gap to the others behind me but I couldn't be complacent and if you've read my blogs from earlier this season you'll know I have a bit of paranoia about losing podium places on the last lap! As I came to the end of that last lap I knew I just couldn't have matched Martin or Scott's pace for the whole race. Was I kidding myself on that I even had a chance of the win? Well, given this was my last race of my first season racing XC, I had a lot to look back on and be very very happy about. Yes, I couldn't quite maintain that first lap pace to match Scott and Martin, but look what I'd achieved . . . 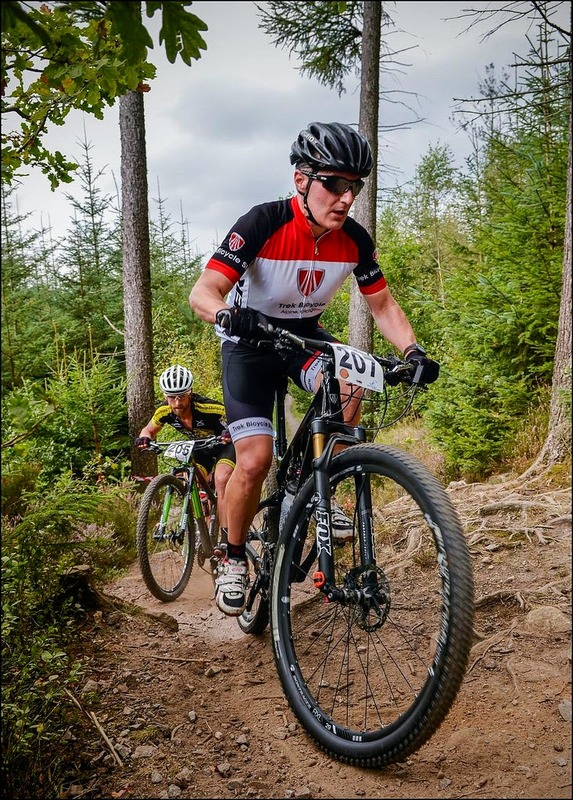 I was crossing the line in 3rd place in the Scottish Championships, taking my 3rd series podium (including a win), and taking 2nd place overall in the Masters category in my first season racing XC, after only a couple of years competing in a few marathon and endurance MTB events. I couldn't be happier! I can't thank my friends and family enough for coming to support me. It really does make such a difference to hear them cheering me on. Yet again, massive thanks to my amazing wife for all the morale support, encouragement, feedzone bottle hand-ups, putting up with all the hours training, and all the moaning when I'm tired and hungry from training! I just could not have done this without her! Although I've got a couple of races left this season, of the endurance and marathon variety, that's my first XC season over and it has been simply brilliant! I've loved every minute of the racing, even when it's tough. I've learned so much and I've met some great people. The SXC organisers have been fantastic and we've had some awesome courses. Finally, I need to thank my sponsors: the Alpine Bikes Trek Store Glasgow. I couldn't have done this without all the support, kit and servicing. I particularly want to thank Jon in the Trek Store and Andrew, the manager of the workshop at the St.Georges Cross Alpine Bikes store. Andrew serviced my Trek Superfly before every race and had it running absolutely perfectly. It has been flawless. Not a single mechanical all year thanks to his great work! The support from both stores has been very much appreciated. Thanks guys! So, that was yet another one of my lengthy race reports but I hope you enjoyed reading it. I'll probably do a review looking back over the whole season at some point, but it's not over yet. I'm really excited about this Saturday's No Fuss Events Tour de Ben Nevis - one of my favourite events on the calendar each year. 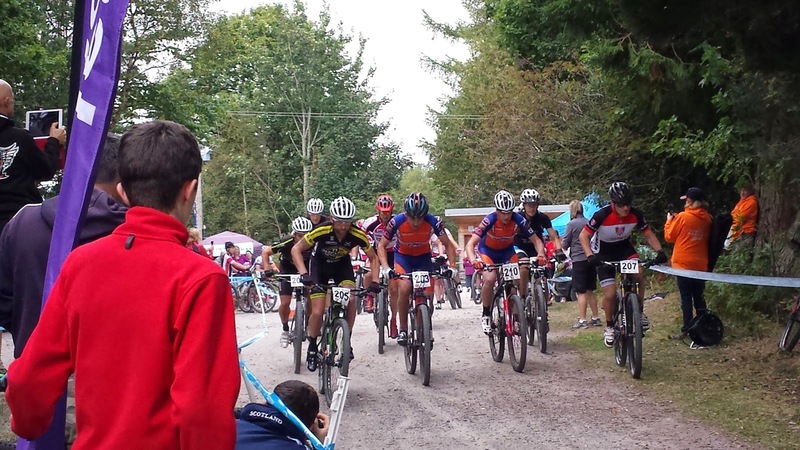 A 72km remote mountain bike marathon with special timed stages.